Los Angeles (October 11, 2018) – POWSTER, the creative studio that works with over 100 movie distributors including all six major studios, has announced a brand new division named POWSTER Labs. The team of highly skilled, creative experts based in Los Angeles will power up studios’ movie-marketing campaigns. POWSTER Labs is already aiming high, allowing moviegoers to detect the moon in their mobile web browser to activate an Augmented Reality experience for Universal Pictures’ First Man, starring Ryan Gosling. 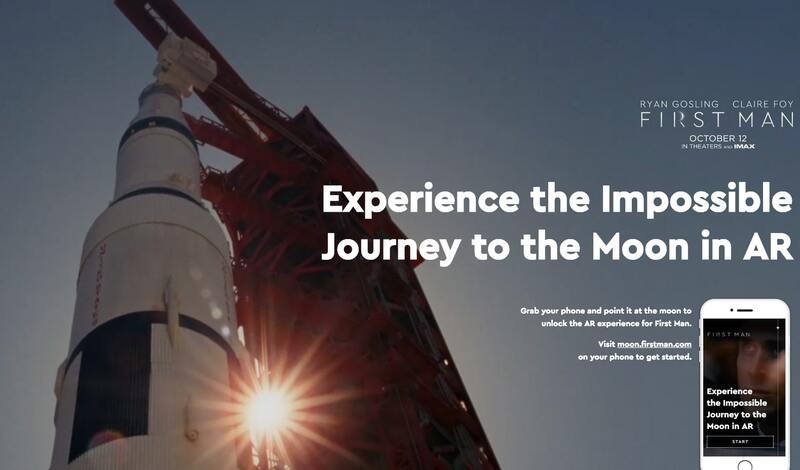 The creative marketing asset takes users on a journey to the moon while accessing behind-the-scenes footage and exclusive clips from the movie. The specialized division will pioneer developments in interactive VFX Breakdowns, interactive WebGL, 3D galleries, and interfacing with new APIs and effects released by publishers and social networks. POWSTER Labs comprises a dedicated, full time innovation team assembled to create award-winning client campaigns, that will add new value to the entertainment industry. POWSTER is known to redefine what is possible in digital marketing for the entertainment industry. The AR asset created by POWSTER Labs for Universal Pictures’ First Man breaks the barriers of what can be used as an AR tracker by reshaping the software’s capacity for image recognition. POWSTER is recognized for several other world firsts, including the award-winning VFX Breakdown for Pacific Rim: Uprising, which went on to win FWA Site of the Day. Audio isolation was achieved in the 360 video created for John Williams: A Life in Music, the video was honored with a Lovie Award for experimental, innovation in social media. The interactive music video engineered for “Work it Out” by Netsky has been honored as Adobe’s Cutting Edge Project of the Month. POWSTER’s creative campaign to promote the launch of Newton Faulkner’s fourth album Studio Zoo gave fans intimate access to Faulkner’s creative process via a live stream of his studio and the ability to interact with the artist on social media and control his house with Twitter. The project was named one of Google Sandbox’s Campaigns of the Year.